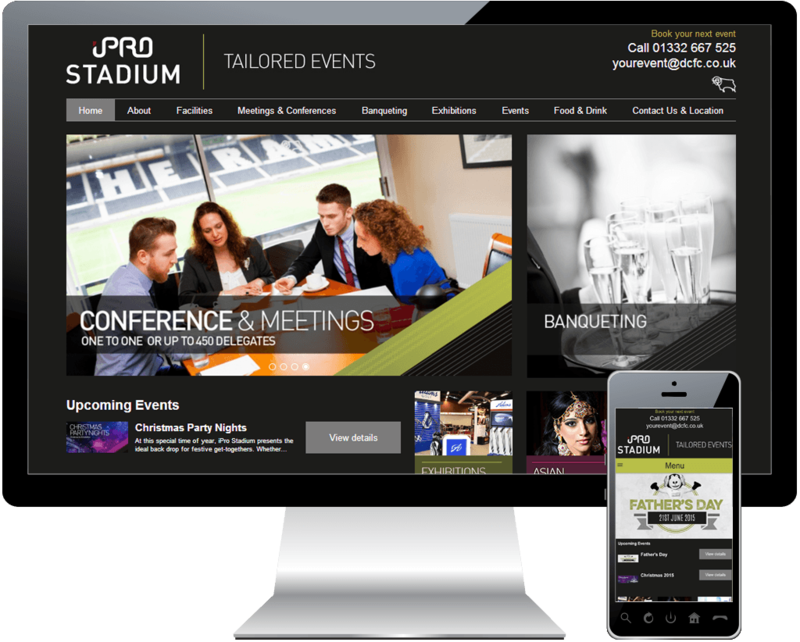 To create an online presence to increase awareness of the facilities and events at the iPro Stadium, home of Derby County Football Club, and generate enquiries. 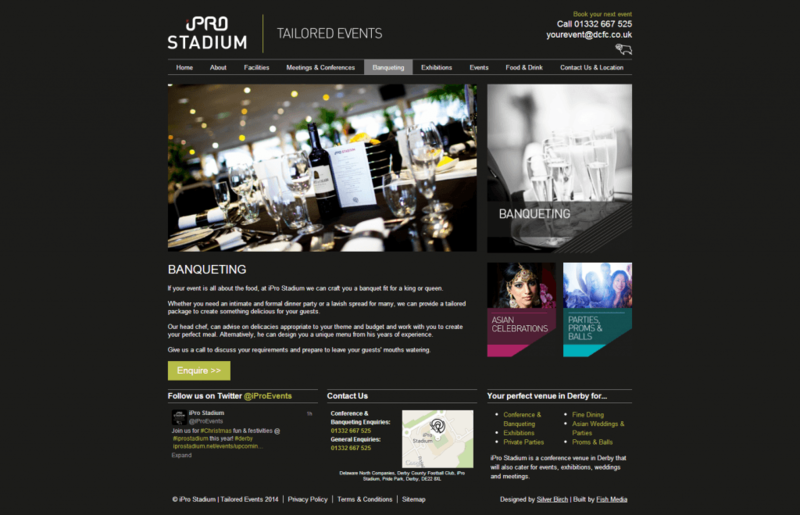 Produce a website that promotes the tailored events and facilities with clear user journey and strong call-to-action to increase enquiries via the website. Working with their new brand identity, we developed a mobile responsive website that showcases the facilities available at the iPro Stadium to the various target markets they are looking to attract. We provided a Content Management System (CMS) that enables our client to set-up and promote their events and enable customers to submit a booking enquiry via the website. In the initial period since the launch of the new website our client has received a significant increase in venue hire and event booking enquiries from the website.